It was doing Joseph's homework that started it. As he browsed his pictures and calmly discussed each one he saw. "Oh I look weird there, covered in wires and stuff, let's find another". "Oh that one is better you can see my face and there's daddy". "Oh that one is the best, you can see my face and I am cuddling my mummy!" I took many pictures of Joseph in hospital, and oodles since. I very often just snap him not doing much of anything, even sleeping, or drinking, or eating. On Thursday Joseph turns 5. And finally, I have realised something. For me prematurity defines his birth. The fact he was born at 27 weeks will always play a significant part in his birthday. For me. And really, for me alone. I replay his birth, the decisions I had to make, those scary first hours when I had had a baby but had never seen him, didn't even know for sure what gender he was. Nothing will ever make Joseph's prematurity "insignificant" to me. True enough, it doesn't play much role now in my day to day thinking, but I don't think there will come a time when I don't replay the circumstances of his birth and replay those 10 and a half gruelling weeks in hospital. I don't think anyone else really thinks of it much. In an educational sense the fact he was premature does have some significance and at times we do need to "play the premmie card". 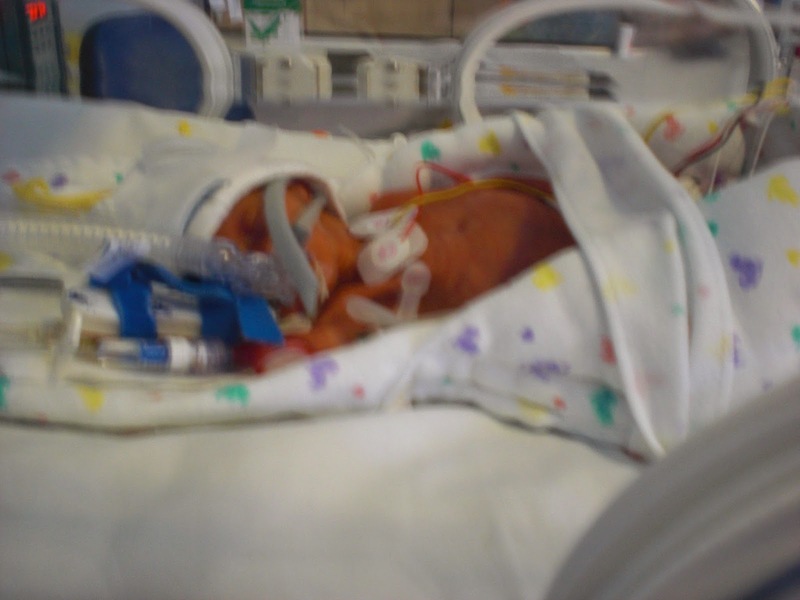 However, for Joseph, prematurity is a totally insignificant part of his personal story. Of more significance to him are his trips away, his hobbies, his interests, his fantasies. His batman costume of far more importance to him than his tiny baby hat, that I hold so dear. That fact brings me great joy, that no matter how traumatised and fixated I have been on his prematurity that hasn't affected the way he views himself. And that is where the healing happens. Yes, I can have my cry, my fears relived, my horror at how short my pregnancy was. That's fine. It will always be part of my Joseph story and that's fine. But what I musn't do is transfer that on to my little superhero, who knows about his prematurity, understands it, but doesn't overly care about it. It doesn't make him Joseph. And that's where he needs to be. This is actually so good to hear Kylie. Thank goodness our children are oblivious to the fear, worry and pain of the early days. You are right, it's our story not theirs even if they know about their shaky beginnings.